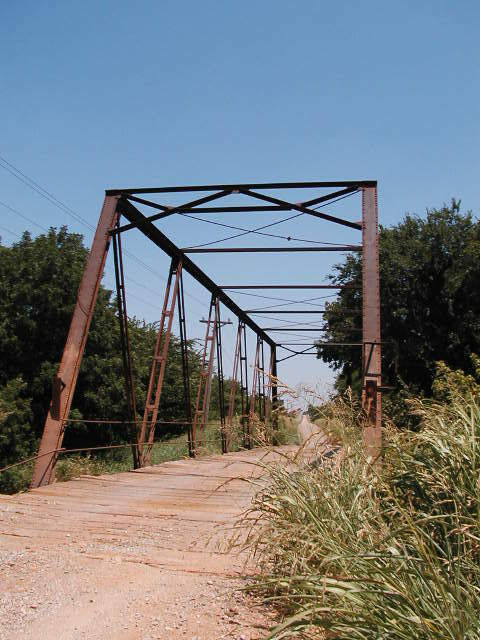 Cottonwood Creek Crossing, Logan Co. 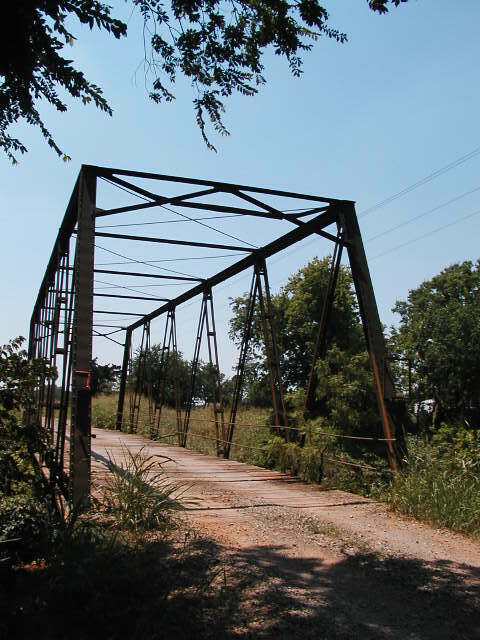 Built in 1910, this 88-foot long riveted thru Warren truss is the only on of its kind in the state. No builder's plaque was found. Above, view looking to the north. 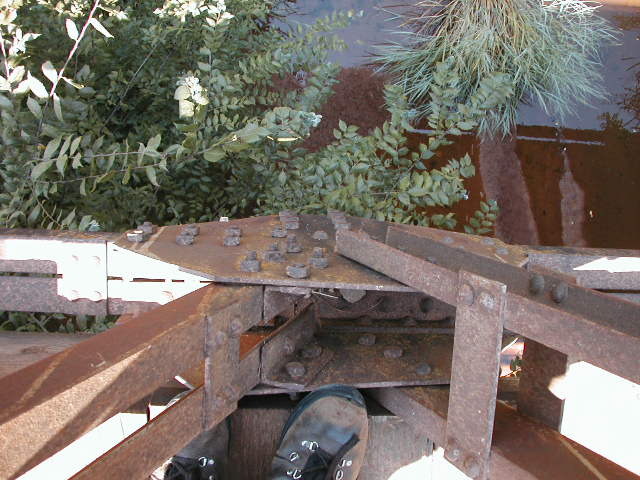 Above, a view looking up at the bridge. Note the marked difference between the tension and compression members. Below, the hip. 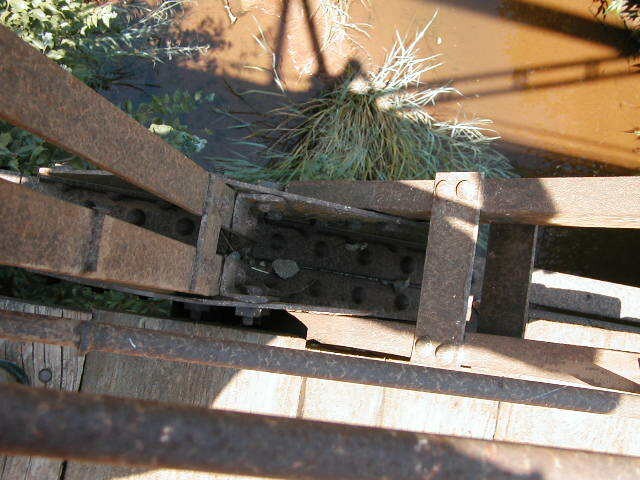 The endposts are very steep in this bridge. Above, backside of the portal frame. Empty holes indicate where a plaque was probably attached. 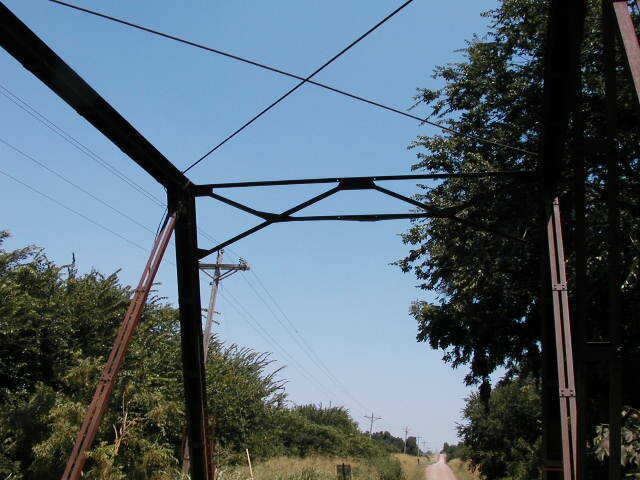 Below, one of the simple lower chord connections. 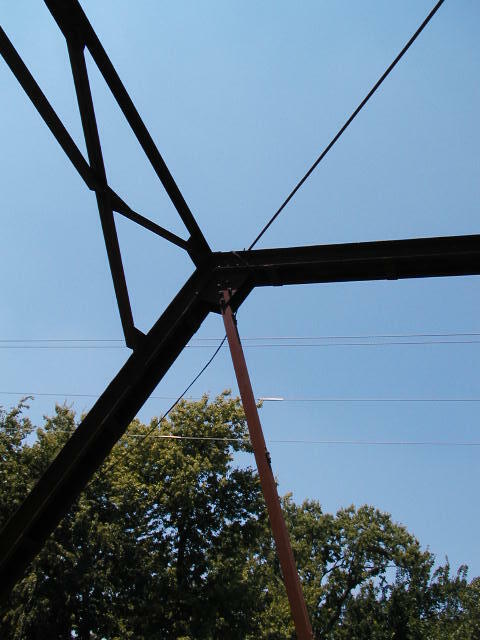 Above, another lower chord connection. 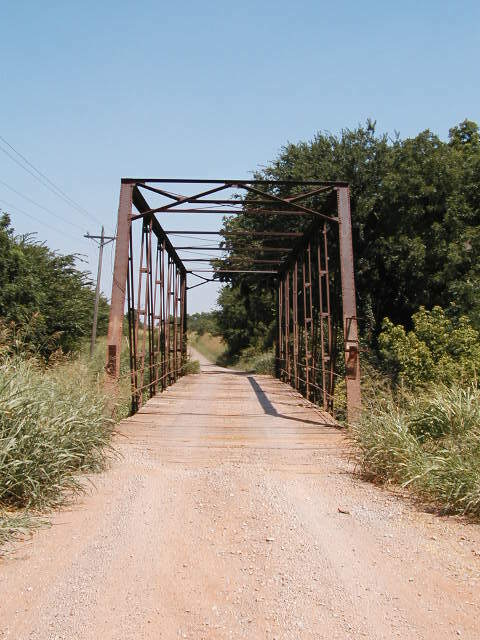 Below, a view looking south. 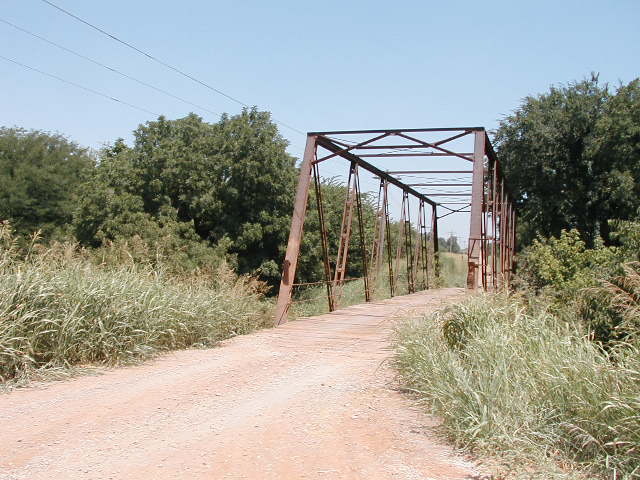 This is one of the most austere bridges we have seen.